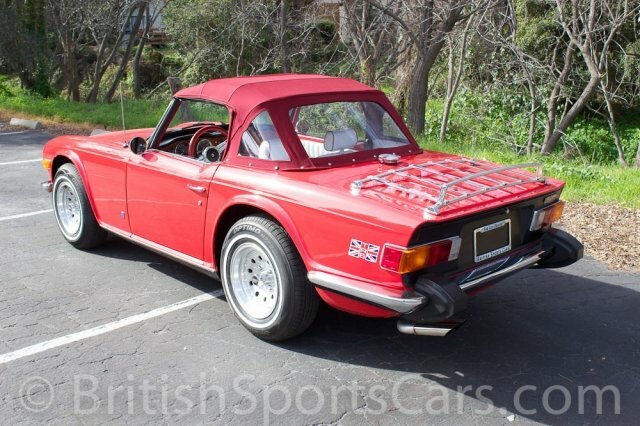 You are looking at a Triumph TR6 that has been completely restored from the ground up to better than new. This car was just freshly restored and has less than 100 miles on the entire car. As you can see in the photos, everything on this car is new or rebuilt. The paint and body is excellent and has no rust and shows no signs of previous accident damage. The upholstery is all done in high-quality leather and does not have a mark on it. The engine is freshly rebuilt and runs amazing. This car is also fitted with a fully rebuilt overdrive transmission which is a great option to have. This is an amazing car that drives excellent and has had a no-expense-spared restoration to a very high quality. You could not restore this car for anywhere near what we are asking. Please feel free to contact us with any questions you have.